Africa’s largest economy is failing to keep inflation under control. Nigeria’s inflation accelerated to 15.6% in May, up from 13.7% in the previous month, according to the National Bureau of Statistics. That’s the highest rate in over six years, and above economists’ expectations of 14.7%. The continued rise in Nigerian inflation over the last few months has been attributed to the government’s controversial agenda of currency and price controls, including on petrol. 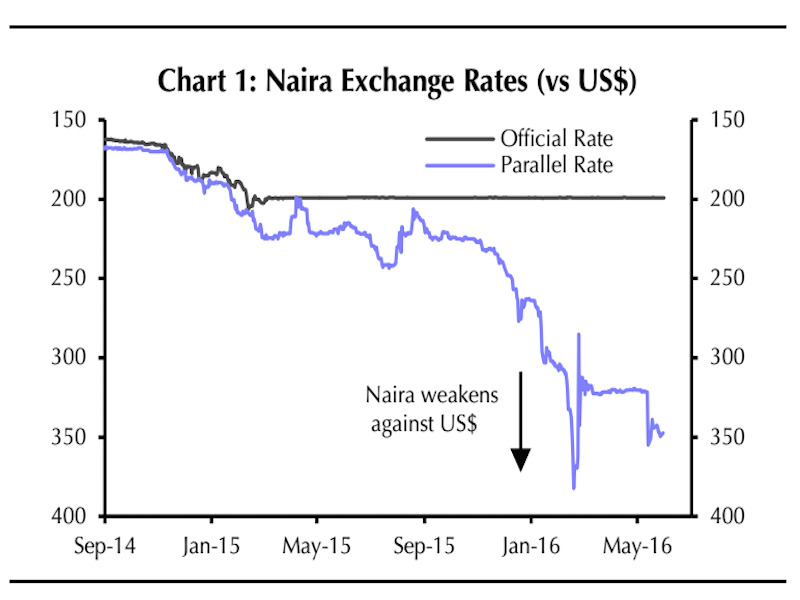 Nigeria has attempted to hold its currency, the naira, fixed at 200 per dollar on the official FX market by rationing the supply of dollars. So, as a result, consumers have been trying to get dollars from the parallel market, where the exchange rate was 320 nairas per dollar, according to March figures. As for the second policy, Nigeria attempted to fix the retail cost of petrol at 86.5 nairas per litre, which has resulted in one of the worst fuel shortages in years. Petrol prices on the black market and other utility prices have, unsurprisingly, skyrocketed in the aftermath. 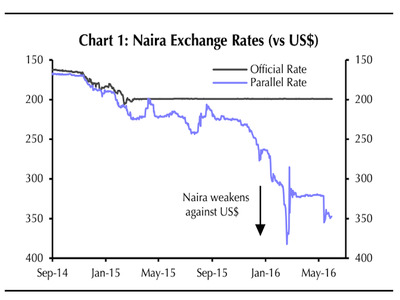 “Given that both the naira policy and the petrol pricing strategy were originally presented as methods of keeping prices down, the continued rise of inflation is a significant blow to the government’s economic strategy,” Capital Economics’ Ashbourne noted previously. On the positive side, in late May, the government finally admitted that it needed a more flexible exchange rate. And there have recently been reports that the Central Bank of Nigeria is thinking about introducing a dual exchange-rate system and devalue its currency. But, for now, “today’s data underline the failure of the current FX system to keep inflation under control,” according to Ashbourne.